Who's in Need of a Girl's Trip? June is Immigrant Heritage month. One that typically celebrates our diverse backgrounds as Americans, our melting pot of cultures. But the actions by the Trump Administration in the last few months to separate thousands of children from their parents is reminiscent of the internment camps that forced relocation of 100k+ Japanese Americans during WWII. They were overcrowded and provided very poor living conditions. President Roosevelt created these camps because the US was scared of connections Japanese Americans might have with the enemy. Those camps are now considered one of the most shameful episodes in American history. And 76 years later, we’re now living through a sequel of that episode with the border policy that is separating families at the US Border and relocated them to tent cities or Walmarts. Satsuki Ina shares a heartbreaking interview of her birth and life in one of the internment camp “prisons” and her experience now working as a psychotherapist who has spent time visiting family detention centers, including the South Texas Family Residential Center. So what can you do? A lot actually. It’s up to us to keep this front and center in the media circuit, despite the White House distraction techniques to point fingers to the Democrats for not funding a wall that Trump originally said Mexico would pay for. Thousands of children have been taken from their parents. And all of them have been refused legal counsel if they cannot afford one. A child without a lawyer – it’s a death sentence for these kids. We all have access to influential friends and neighbors – now is the time to get all hands on deck and put the pressure on our communities to stand up for those without voices. There are scripts below to send to your Congressmen. Even if you’re in a liberal area with Senators who are on board – they still need to hear from us in masses to reinforce that they’re making the right decision. Send this to your family, friends, anyone really – Middle America needs to stand up. The South needs to stand up. The East and West Coasts need to stand up. Land of the free and home of brave – well, we need to prove it. Hate cold calling? Use Resistbot to locate your representatives and text directly to Congress. What could be easier? There are no excuses. If this becomes 1942 part 2, we’ll only have ourselves to blame. Midterms are coming up, so we have the chance to influence change and get this country back on course. All hands on deck now to end this brutality and move towards freedom for all; kids and their families. In 2016 I founded the Venice Resistance, a progressive non-profit committed to promoting social and economic justice in America. We have 1,000 active members and our leadership has mobilized thousands of Angelenos through partnerships with the ACLU, Planned Parenthood, Women’s March, Black Lives Matter, National Domestic Workers Alliance, Science March, Safe Place for Youth, Lost Angels, March for our Lives, Venice Pride, LAUSD, UCLA, USC, Santa Monica Community College, and the Mayor’s Office. Below, I’ve pulled together 5 easy steps to take action to help to put an end to this horrific situation. The Trump Administration separated 2,000 children from parents in six weeks, from April 19 to May 31. Many of these children are taken from their parents arms screaming and placed in giant empty Walmart centers. Our country detained hundreds of families under Obama, but separating families is an unofficial policy executed by the Trump administration. JUST ANNOUNCED: Major protest to Keep Families Together on June 30th in Washington *and* communities around the country. Go to http://familiesbelongtogether.org to plug into events. There is growing unity by Democrats in Congress to end family separation. GOP is attempting to vote on two immigration bills (neither address family separation). NOW IS THE TIME TO CALL YOUR CONGRESSMEN! Look up your Congressman here. It’s easy. Here is a sample script: Hi, my name is [YOUR NAME] from [YOUR ZIP] and a member of Venice Resistance. We need to end the immoral separation of families at our border. This is causing irreversible harm to children and is not what our country was built on. Can you confirm that the Senator will keep fighting to pass S.3036 Keep Families Together Act? Thank you. In addition to contacting your legislators, please contact the Department of Homeland Security (DHS) again to demand that the federal agency stop separating immigrant children from their parents at the border. Script: My name is [NAME] from [ZIP] and I am writing to demand that you put an end to family separation at the US border. This is an unofficial policy and is causing irreversible harm to children. The United Nations human rights office calls this a serious violation of the rights of children, demanding it to end. 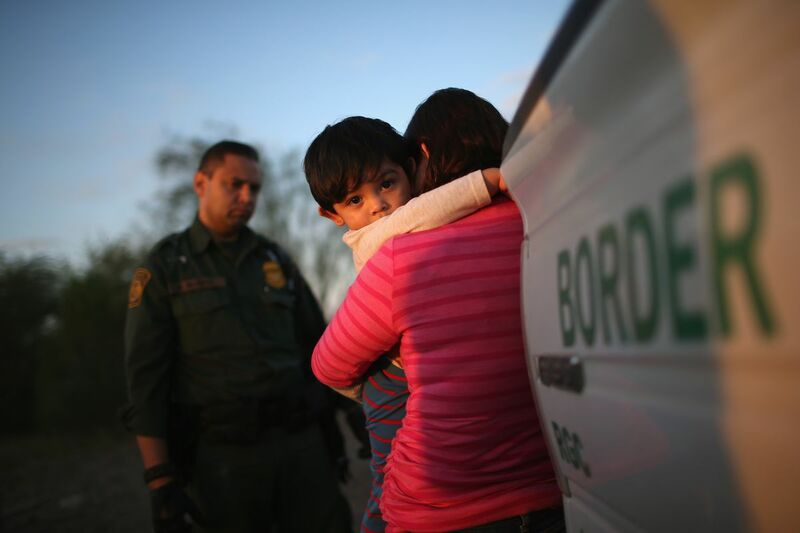 The Catholic Church denounced it as immoral and The American Psychology Association has warned that this separation threatens the mental and physical health of the children. Please stop this policy immediately! Tell your friends, family and followers that you don’t support family separation and keep this top of mind. The media needs to know that this is a top priority for Americans. Together Rising: This organization is sponsoring an initiative to provide legal assistance for the 60 children who are currently detained and separated from their parents in Arizona. It also is working to reunite these children with their families and to maintain communication between parents and children in the meantime. Donate here. The Florence Project: They’re working to “provide free legal and social services to detained adults and unaccompanied children facing immigration removal proceedings in Arizona.” Donate here. ActBlue Charities: This allows you to donate to eight different organizations, including the ACLU and Kids in Need of Defense, working to help kids separated from their parents at the border. Donate here. Maria Casey has spent the last 15 years working for a variety of startups, holding executive-level business development and marketing roles for companies in media, e-commerce, tech, fashion & gaming where she led teams in BD, sales, marketing, production, client services & operations. Currently she is principal at MCA Partners. She has been an activist for as long as she can remember, raised by international activist parents and then joining the Peace Corps after college where she lived in Bangladesh. Following the 2016 election, and noticing a huge gap in the Westside of Los Angeles, Maria formed a 501(c)(3) non-profit, Venice Resistance, while running Business Development for a Disney-backed content company. She realized she couldn’t stand on the sidelines anymore and wanted to take action to create a safer world for her daughter. She is currently serving as President of the Founding Board of Directors. The Venice Resistance leadership has mobilized thousands of Angelenos through partnerships with the ACLU, Planned Parenthood, Women’s March, National Domestic Workers Alliance, Black Lives Matter, Science March, Safe Place for Youth, Lost Angels, March for our Lives, Venice Pride, LAUSD, UCLA, USC, Santa Monica Community College, and the Mayor’s Office.